From the celebrated author of The Secret Life of Bees, a magnificent novel about two unforgettable American women Writing at the height of her narrative and imaginative gifts, Sue Monk Kidd presents a masterpiece of hope, daring, the quest for freedom, and the desire to have a voice in the world--and it is now the newest Oprah's Book Club 2.0 selection.Hetty "Handful" Grimke, an urban slave in early nineteenth century Charleston, yearns for life beyond the suffocating walls that enclose her within the wealthy Grimke household. 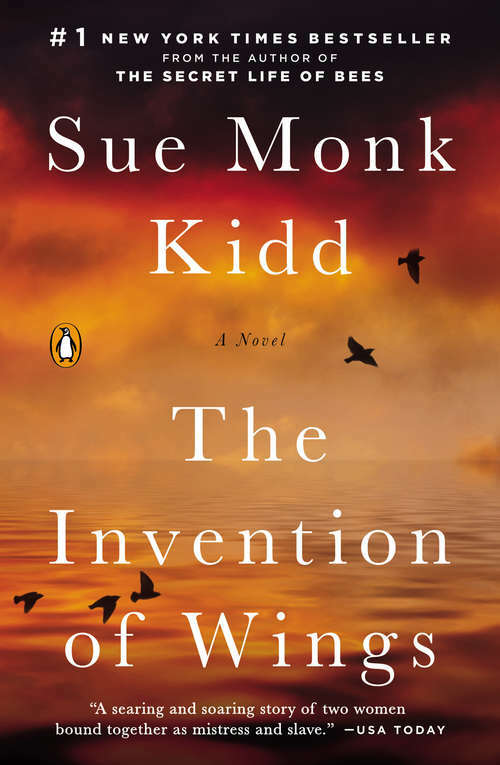 The Grimke's daughter, Sarah, has known from an early age she is meant to do something large in the world, but she is hemmed in by the limits imposed on women.Kidd's sweeping novel is set in motion on Sarah's eleventh birthday, when she is given ownership of ten year old Handful, who is to be her handmaid. We follow their remarkable journeys over the next thirty five years, as both strive for a life of their own, dramatically shaping each other's destinies and forming a complex relationship marked by guilt, defiance, estrangement and the uneasy ways of love.As the stories build to a riveting climax, Handful will endure loss and sorrow, finding courage and a sense of self in the process. Sarah will experience crushed hopes, betrayal, unrequited love, and ostracism before leaving Charleston to find her place alongside her fearless younger sister, Angelina, as one of the early pioneers in the abolition and women's rights movements.Inspired by the historical figure of Sarah Grimke, Kidd goes beyond the record to flesh out the rich interior lives of all of her characters, both real and invented, including Handful's cunning mother, Charlotte, who courts danger in her search for something better.This exquisitely written novel is a triumph of storytelling that looks with unswerving eyes at a devastating wound in American history, through women whose struggles for liberation, empowerment, and expression will leave no reader unmoved.Please note there is another digital edition available featuring notes by Oprah Winfrey.